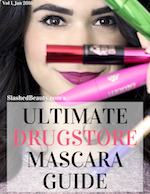 You all know that I prefer drugstore— or budget-friendly— beauty products over prestige any day. 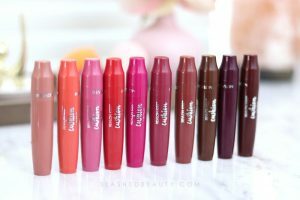 Over the years, the quality in affordable cosmetics has gotten so much better, brands have been quicker to jump on trends, and many products even rival more expensive brands. The truth of the matter is, a lot of drugstore makeup is being manufactured by the same parent companies as the most popular prestige brands anyway. The price difference may reflect packaging materials, cheaper ingredients, less natural ingredients, etc making drugstore products more cost effective to mass produce. However, this blog itself is a testimonial for all the amazing products that perform past their price point. With that said, I do enjoy the occasional splurge in my beauty routine. Usually, I’ll receive a PR sample of something that’s normally outside of my beauty budget, but I’ll get hooked on it. Despite trying, these three products are repeat purchases of mine that I haven’t found affordable dupes of, so I stick with the prestige originals. 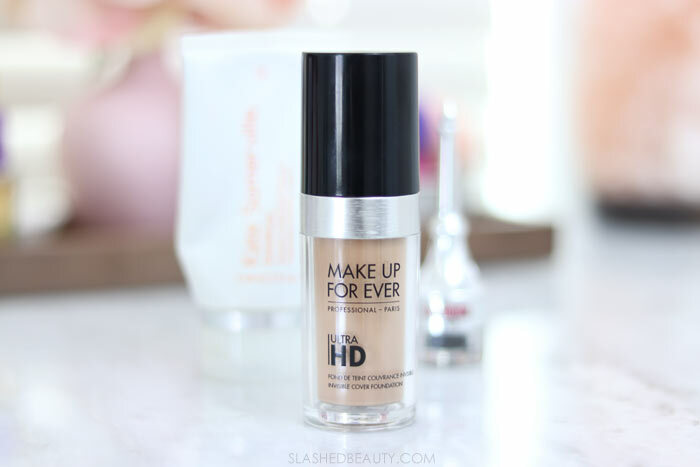 This is my absolute all-time favorite foundation, period. While I’ve found formulas that work well for me at a cheaper price, this is the foundation that just looks so perfect on my skin. From the exact color match (and wide range in case of seasonal skin tone changes), to the natural skin finish that plays well with my combo skin, this is the product I trust for the most special occasions. It has medium-full buildable coverage that feels comfortable and lasts all day. I wore it on my wedding day, and despite having some morning-of stress breakouts, my skin looked flawless. 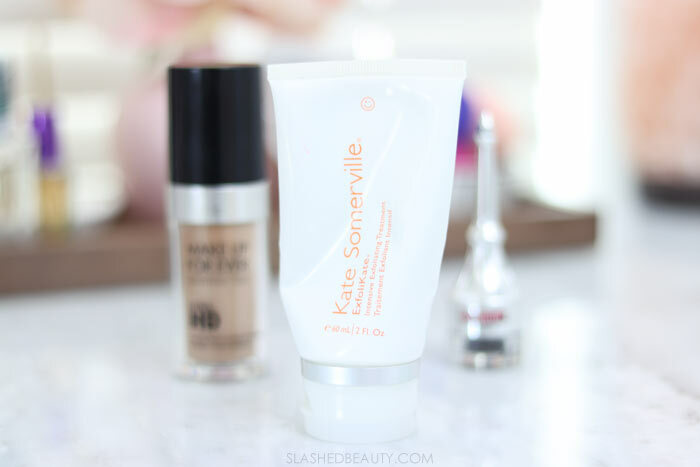 I was treated to a true Kate Somerville facial at her Clinic in Los Angeles a few years ago, and immediately asked what product they used to get my skin feeling so smooth. They gave me a tube of ExfoliKate and my skin has never looked back. It’s both a physical and chemical exfoliant, doing double duty to really supercharge cell turnover and slough off dry patches. You rub for 30 seconds and let it sit for 2 minutes for a quickie facial that you’ll see instant results from. Whenever I notice small bumps on my skin or an overall dull appearance, this is my go-to and my skin is transformed overnight. Mind you, the full size tube of this product is a whopping $85, but since this isn’t something I’m using all the time, the travel size gets me a lot of use. When I need my brows to stay on through literally anything, ka-BROW! is what I trust. This cream-gel pomade is completely smudge-proof and water-proof, and will give you the look you want all day. 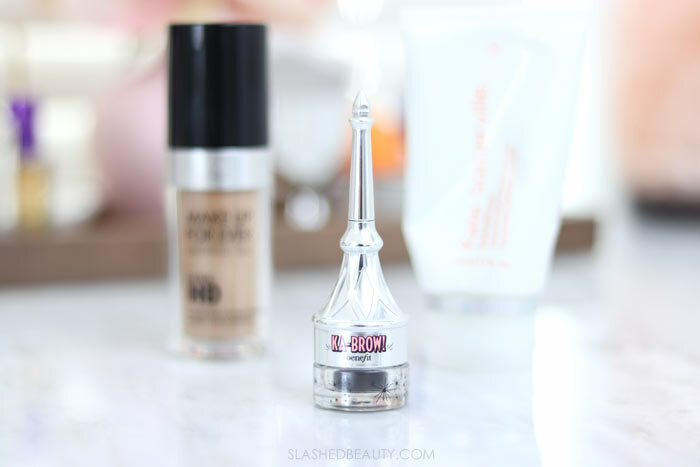 I typically go for a bold style when wearing this product, but it’s buildable and can be used for a softer appearance as well when applied with a lighter hand. When I’m going to be sweating, swimming, or just wearing my makeup for more than 15 hours, this is on my brows without a question. It’s usually $24, but they do actually have a mini size for $12. 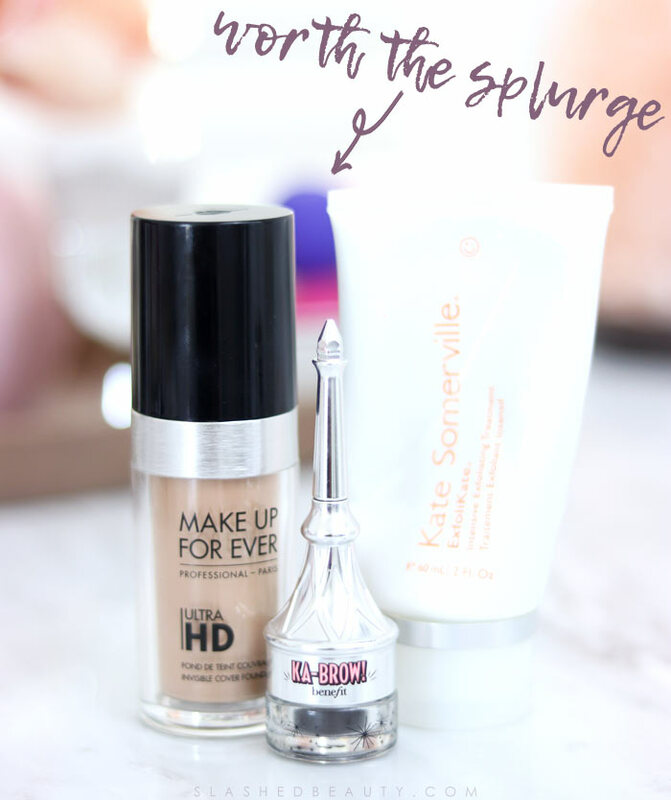 I’ve found very similar products at the drugstore, but none that last as long as ka-BROW! which is the defining factor of my repurchasing it. What products do you splurge on for your beauty routine? Let me know in the comments below. And now, for the best blog posts of last week from The Lipstick League!